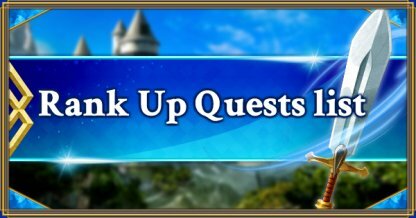 On this page you’ll find a list of Servant Rank Up Quests available in FGO (Fate/Grand Order). We’ve also given details on the enhancements you get when clearing each Quest. Use this as your guide when you want to know more about Rank Up Quests in FGO. What are Rank Up Quests? ・strengthen "Knowledge of the Sowa"
・"Rune Spell" into new skill "Primordial Rune"
・"Clairvoyance" into into new skill "Howkeye"
・"Charisma" into into new skill "Sadistic Charisma"
Depending on the Servant, Rank Up Quests may have been implemented multiple times. In regards to collecting Saint Quartz, we recommend training up Servants with multiple Rank Up Quests. 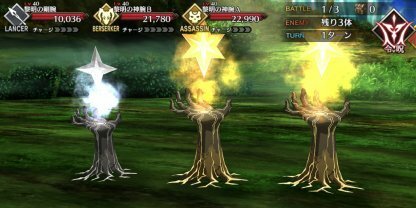 Rank Up Quests improve the performance of Skills or NP that Servants already have, or give them new Skills. Depending on the Servant, Rank Up Quests may or may not be available. New Quests become available with updates. Unlike Interludes, Rank Up Quests do not have story sections. Also, there are always five parts that need to be cleared. Be aware though that the AP required differs depending on the Servant. 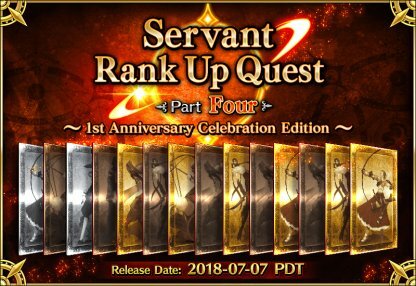 Rank Up Quests raise the performance and power of Servant Skills and NP. They are well worth clearing in order to make farming and high-level Quests easier, and develop super useful Servants. Rank Up Quests don’t just enhance Servant Skills and Noble Phantasms, they are also a way of acquiring Saint Quartz. These Quests mostly consume around 20 AP, but since you get Crystal Quartz, in effect you can enhance your Servants at no cost. Essentially, for a Servant to take part in their Rank Up Quest, they must have achieved final Ascension. First farm for Embers in Daily Quests and Events and by exchanging Mana Prisms, and Ascend your Servants. 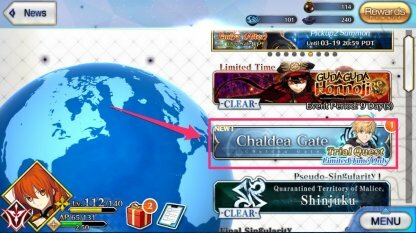 Once you have achieved final Ascension with your Servant, select “Chaldea Gate” in the menu screen. Tap “Rank Up Quest” and you will see the list of applicable Servants.